Carrots And Eyesight: Myth Or Reality? “Eat your carrots, they’re good for your eyesight,” is something many of us grew up hearing from parents who were encouraging us to eat vegetables. 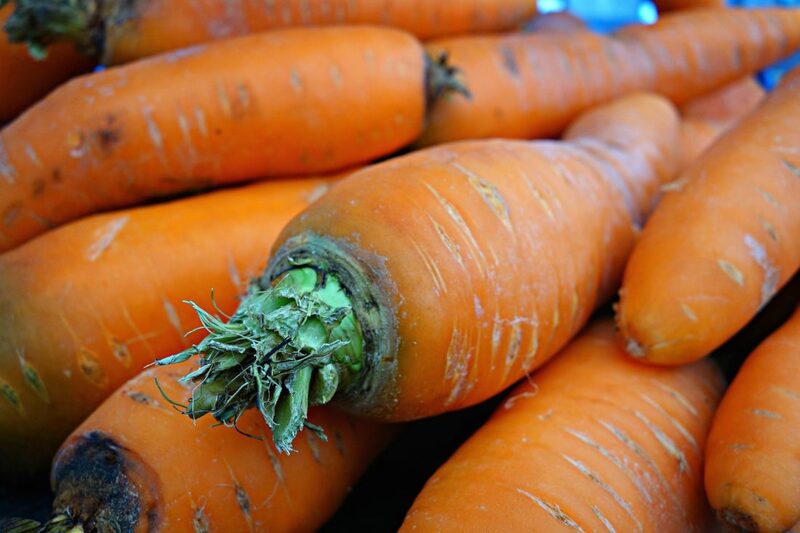 We’ve all heard that carrots will give you better vision, but is that true? Other orange-colored fruits and vegetables like sweet potatoes, apricots and cantaloup are also high in beta-carotene. In fact, many other foods also contain vitamins and minerals that are beneficial for the eyes. Foods that are high in the nutrients lutein and zeaxanthin—including leafy green vegetables like kale and spinach, as well as broccoli, peas, corn, and eggs—are believed to lower the risk of age-related macular degeneration (AMD) and cataracts. Studies have also shown that foods that are rich in omega-3 fatty acids, such as salmon, can lower the risk of developing AMD. And citrus fruits like oranges, grapefruit, tangerines, and lemons are high in vitamin C, which is an antioxidant that’s also beneficial for eye health to prevent or perhaps delay cataracts and AMD. Red peppers, peaches, tomatoes, and strawberries offer similar benefits. In addition, many people find that taking a daily multivitamin with essential vitamins and minerals formulated specifically for eye health can help reduce dry eye syndrome symptoms. The key takeaway is that what you eat influences the health of your eyes, just like it does the health of your heart, skin, liver, and other organs. Opt for a diet that’s rich in fruits and vegetables, including carrots, for optimal eye health. With two locations at 7800 Conner Road in Powell and 744 Middle Creek Road, Suite 200 in Sevierville, East Tennessee Eye Surgeons delivers the highest quality eye care in an exceptional setting. Visit our website to learn more about us, or call us at 865-546-1464 (Powell) or 865-908-7008 (Sevierville).